At the end of the day, humans are noble because their passion to go higher is stronger than the fear of death. “Sir Edmund Percival Hillary, KG, ONZ, KBE (20 July 1919 – 11 January 2008) was a New Zealand mountaineer, explorer and philanthropist. 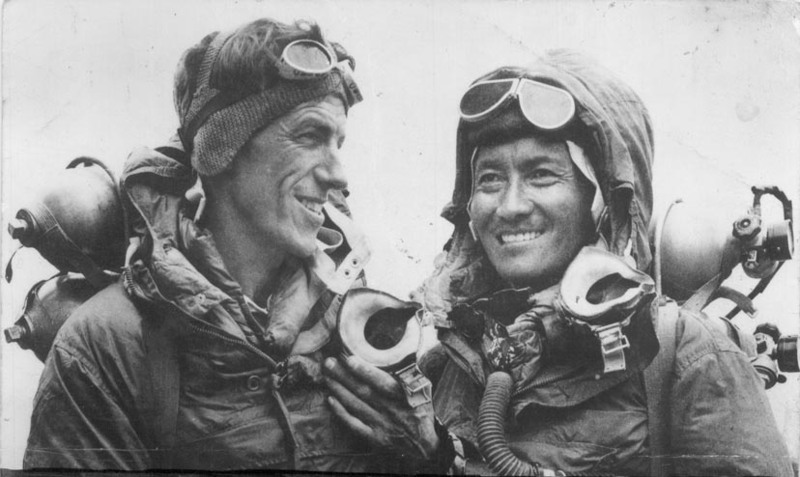 On 29 May 1953, Hillary and Nepalese Sherpa mountaineer Tenzing Norgay became the first climbers confirmed as having reached the summit of Mount Everest. They were part of the ninth British expedition to Everest, led by John Hunt. Hillary was named by Time magazine as one of the 100 most influential people of the 20th century”. (Source and photo credit: Wikipedia). 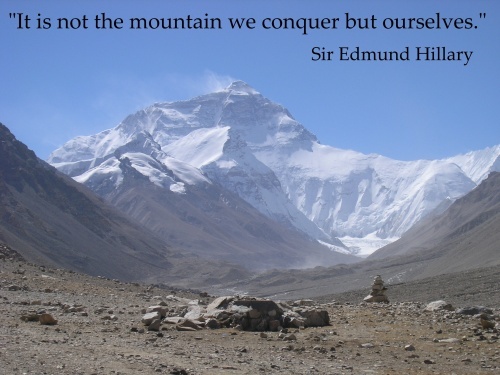 On the occasion of Sir Edmund Hillary’s birth, 20 July 1919. This entry was posted in Uncategorized and tagged 1953, conquest, Edmund, Everest, Hillary, New Zealand, Norgay, power, Tenzing, will, win. Bookmark the permalink. One hell of a guy, by all accounts, and the second man to climb Everest. No, I was refering to Sherpa Tensing as the first man to climb Everest. I was not aware of this…I had always the impression, as they were good friends, that they stepped onto the peak together.